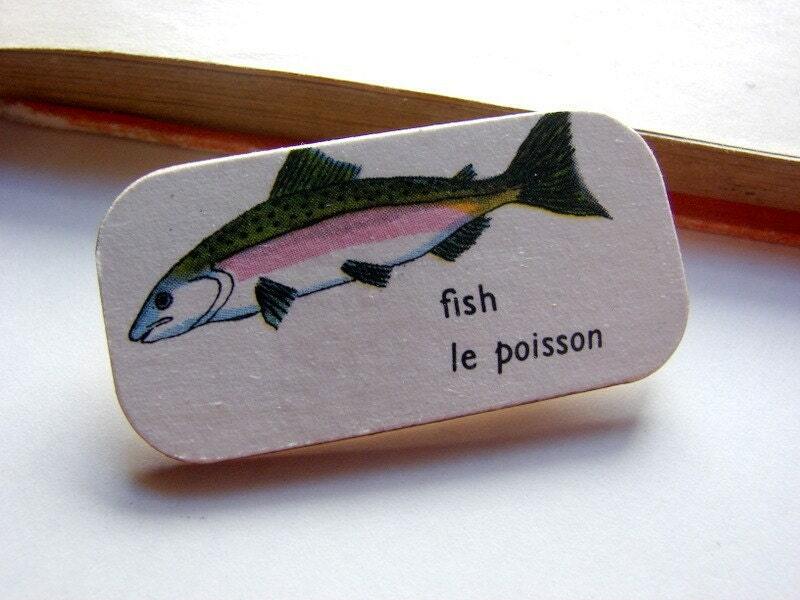 A one of a kind decoupaged wood pin brooch- Fish- Le Poisson. An illustration cut from a vintage childrens book is decoupaged onto a wood square then sealed with two coats of varnish. This is a small/medium pin, measuring 1 x 2", with a standard pinback.